I think you know that in general, I’m not a huge fan of films loaded with CGI and special effects. Still, there’s something even I find compelling about this final trailer for Fantastic Beasts: The Crimes of Grindelwald. Could be the music or could just be the idea of escaping to “a safe house in Paris’’ if only for a cup of tea! What with the state of things and all. 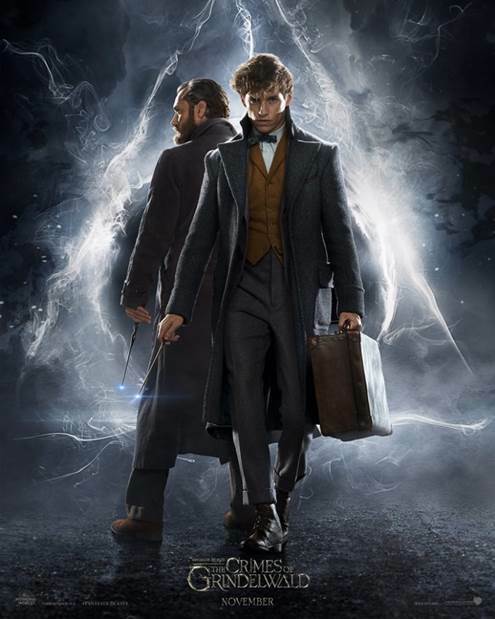 Fantastic Beasts starring Eddie Redmayne, Jude Law, Katherine Waterston, Ezra Miller, Johnny Depp, Zoe Kravitz and Dan Fogler opens November 16th.